Travelling to France with your sports team is a great experience. Like many other coaches and teachers, take your team to France and you will enjoy a fabulous time. Playing tours with us. tourists. Or country remains the global leader, with the dynamic tourism sector combined the effect of a new, emerging clientele and a broader range of things on offer to international tourists. Where else in the world can you find such a high concentration of classic art, celebrated architecture, stylish boutiques, award-winning restaurants, chic galleries and world-class wineries? Some reasons our customers keep coming back : ComeOn Sport provide your team with a high level of sport services and coaches know it. Your are in safe hands with us. Our team of specialists are always able to offer the best advice on how to maximise the value of the trip and the experience in France. Here is below some light and practical information about France before arriving here. Our great purchasing power in addition of our great local knowledge enable our team to deliver a very good quality of service and for a good value for money. 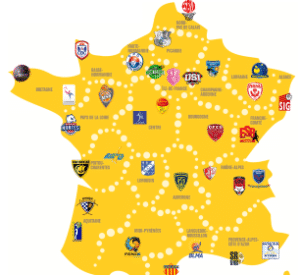 Local assistance and informations are given to clubs and teams while they are in France in order to provide the coach with everything he/she needs to know. What to know when coming to France. French territory Are France’s borders closed? No, the borders are not closed, but you may find some checks at entry points to the French territory (road, rail, port and airport crossing points). In that case, the documents that must be presented during border controls are the same as those usually required for nationals of your country. However, delays are to be expected in airports and stations served by international services (Thalys, Eurostar, etc.). (ID card or passport). Generally, the documents required to enter France are the same as usual. For other nationalities traveling as a sport group, make sure that all documents and Visas are valid. Always check with the French consulate in your country of origin. Time lag France is an hour in advance all year long. Like Ireland, France change the time on the same days. When it is 10 am in the UK and Ireland, it is already 11 am in France! What to know when considering a sport trip or playing tours in France with your team? with the general instructions given by the public authorities. You are more than welcome in France. 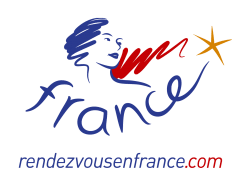 Below are the official websites of Atout France, the French Agency for promoting our country. To get more details about ho to organise a aport tour, read our informations and advices. For rugby tours, if you plan to take your teams abroad, read our advice about getting permissions and tour’s approval.